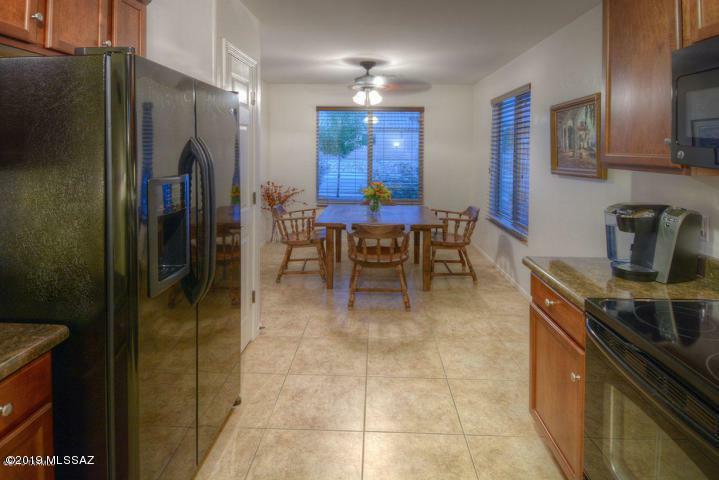 Delightful and well kept home located conveniently to I10, schools and shopping. 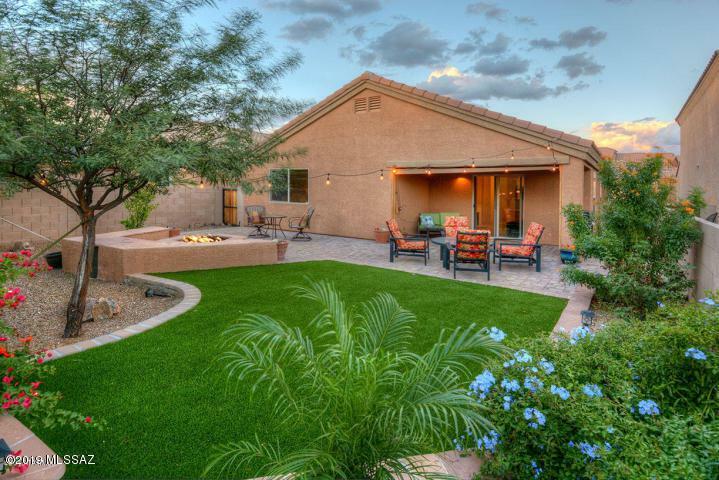 Exceptional private backyard w/ Mtn. Views! Custom pavers, flagstone, propane firepit, built up planters, drip system and ''no-water'' grass. Covered patio and custom shade create a wonderful outdoor dining experience. Great Room is wired for surround sound. 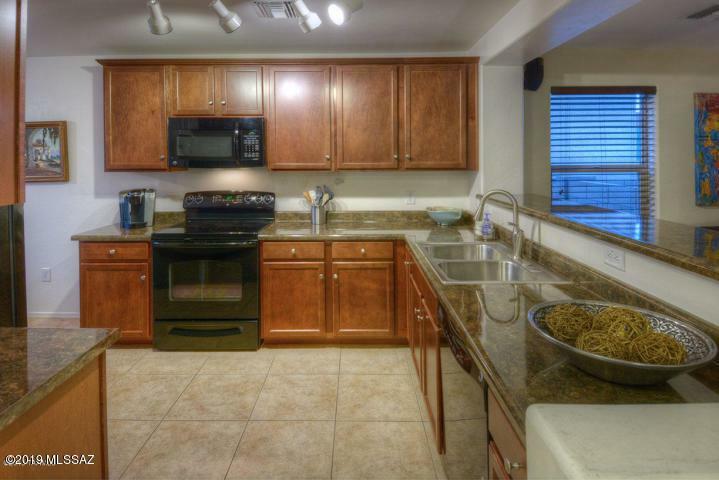 Well designed kitchen features breakfast bar, plenty of cabinets and faux granite counter space. Along with pantry and eat in dining area is a MUST SEE!! Built in dry bar w/ drawers and storage in entry way. 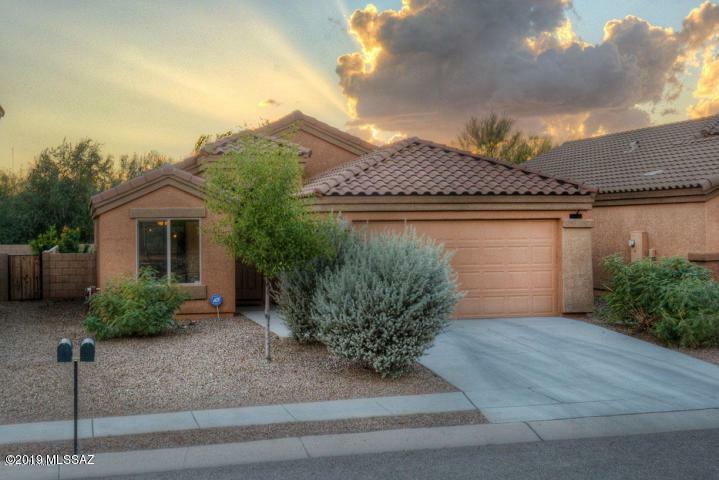 Lovely Master Suite w/ walk in closet & 3/4 bath. 2 good sized BR, both w/ upgraded closets. 1 BR has built in bookshelves. Tile floors, except for BRS. Ceiling fans in all rooms.Special financing incentives available on this property from SIRVA Mortgage.